Anime Expo will host a Sailor Moon reunion. A handful of Sailor Moon voice actors had already been confirmed for their attendance at Anime Expo, but the convention has announced that several other Sailor Moon actors will be present for the series' 20th anniversary. Toby Proctor (Tuxedo Mask, seasons one and two), Mary Long (Molly Baker), Ron Rubin (Artemis), and John Stocker (voice director, various voices) will join the previously announced voice actors, Linda Ballantyne (Sailor Moon, seasons three and four) Susan Roman (Sailor Jupiter), Katie Griffin (Sailor Mars), Karen Bernstein (Sailor Mercury, seasons 1 and 2), and Stephanie Morgenstern (Sailor Venus, seasons one and two). The guests will be present at the convention for a Sailor Moon panel and individual autograph sessions. 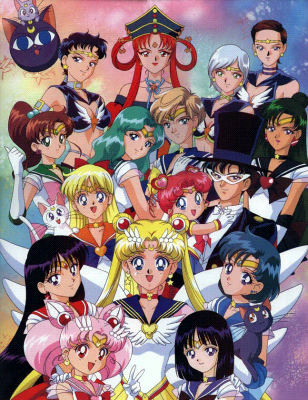 Sailor Moon, a magical girl series, was a show that sparked an interest in anime for many children growing up in the 1990s, especially for girls. Sailor Moon redefined a genre, inspiring several following magical girl shows in which the story revolves around a team of women, usually teenage girls or younger, who use their powers to fight evil. This announcement follows news of the new Sailor Moon anime to debut this July. The anime will not be a remake of the first anime, and it has been delayed several times by now, as it was originally set to air last summer. It will stream on Niconico with subtitles in 10 languages. Anime Expo takes place in the Los Angeles Convention Center from July 3 to July 6.